In 15th century Europe, we watch a girl named Albrun grow to maturity over the course of a series of chapters with portentous names like “Shadows”, “Horn” and “Blood”. At the outset, she and her terminally ill mother are persecuted as witches through the snowy forest. As a young woman with a baby of her own and an absentee husband, Albrun is herself accused of witchcraft, though this is a film concerned with mood, not conventional narrative. 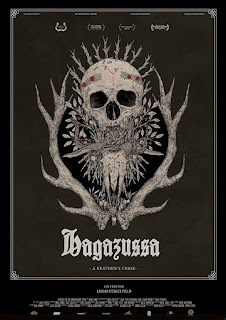 Bearing a whole range of influences from Bergman and David Lynch through to the British folk horror of the 1970’s and the recent American gem THE WITCH, this hugely evocative exercise in dread unfolds at a deliberate pace with extended takes and lingering long shots. An atmosphere of unease is established from the desolate opening, with potent images of death and decay combing with the minimal use of dialogue and imposing mountainous locations to create a beguiling journey into darkness. Some of the symbolism is almost laughably heavy handed – notably an interlude with a goat – but the film is so impressively nightmarish that it seems churlish to complain. The oppressive sound design is accompanied by a suitably abrasive, dissonant original score. 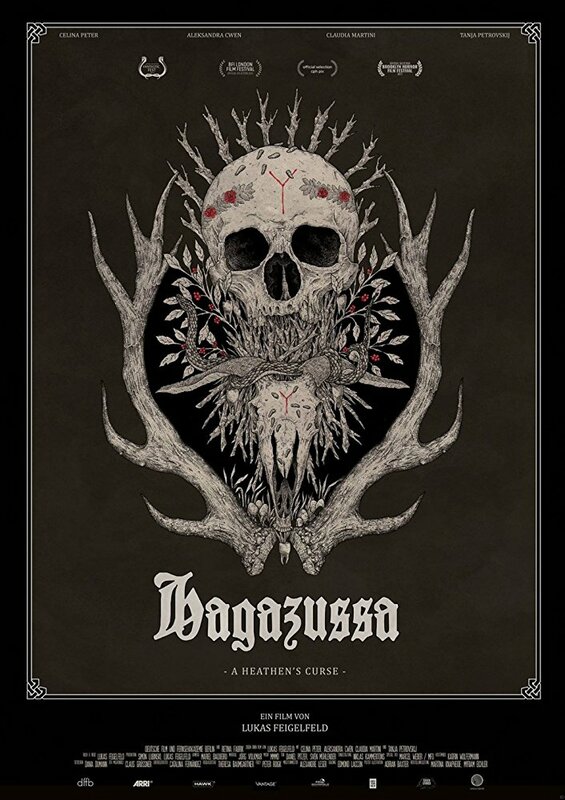 Hagazussa - A Heathen's Curse - Teaser (2017) from Lukas Feigelfeld on Vimeo.